One of Scotland’s largest full service law firms is supporting a Law Society Scotland initiative aimed at inspiring and encouraging senior school pupils in Dundee to pursue a career in law. Trainees and solicitors from Thorntons joined a panel of speakers who shared their experiences in the legal profession to more than 45 Dundee teenagers at a recent event. The legal study and careers event consisted of a brief presentation from the Law Society followed by a Street Law lesson and three Q&A panel sessions. Students were divided into smaller groups for the Q&As and rotated round the three panels of law students, trainees and solicitors. Craig Nicol, joint managing partner at Thorntons, said: “We are fully supportive of any initiative that will help inspire the next generation of talented lawyers. “At Thorntons we have a renowned trainee programme which has developed significantly over the course of many years. Thanks to our diverse range of clients and work, our trainees receive the opportunity to gain crucial experience in the widest possible range of legal specialities. Lyndsey Thomson, from Law Society Scotland, said: “We were delighted to host our Legal Study and Careers Day in association with Thorntons for the first time this year. Feedback from the 40 high school pupils who attended the event showed us that all students ranked the day overall as ‘Excellent’ or ‘Very Good’. The Law Society of Scotland offers various careers and outreach initiatives to encourage fair access to the profession and wider participation within it. One of these initiatives is the provision of around 5 Legal Study and Careers Events each year held in Glasgow, Edinburgh, Dundee and Aberdeen which is open to pupils nationwide. 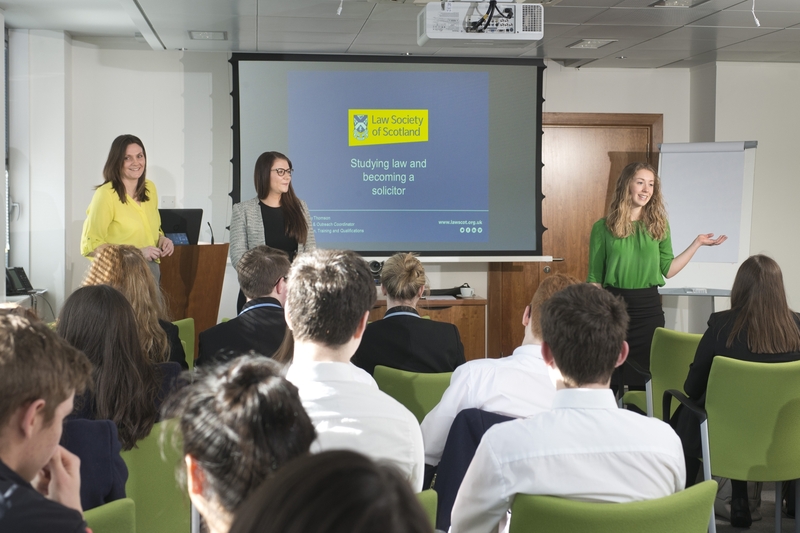 Events such as these are important to the Law Society of Scotland as this year alone, it has engaged with more than 200 pupils from schools across Scotland, many of whom do not traditionally send their pupils to university to study to law. For more details on Thorntons and its services visit www.thorntons-law.co.uk.